At the end of December, my husband and I talked about things we wanted to focus on for 2014. Not really resolutions, but areas we knew we needed to work on. Once we'd discussed this for our personal lives, I decided that I should try to make some plans for photography as well. Now, I haven't set goals for the year professionally yet - or really eve thought about it - but I did decide to document the year through a 52 Week project. I will take and post a picture each week (or as close to each week as I can!). I anticipate that there will be a good number of pictures of my dog, Oliver, because, well, my life is not that interesting and I don't have kids. :) Really though, I thought about shooting for a theme each week, but decided it would be more fun just to shoot life. For my first week (1/1/2014-1/4/2014), I'll begin with a picture of my dog - big surprise! Oliver got a blanket for Christmas, and he loves it! 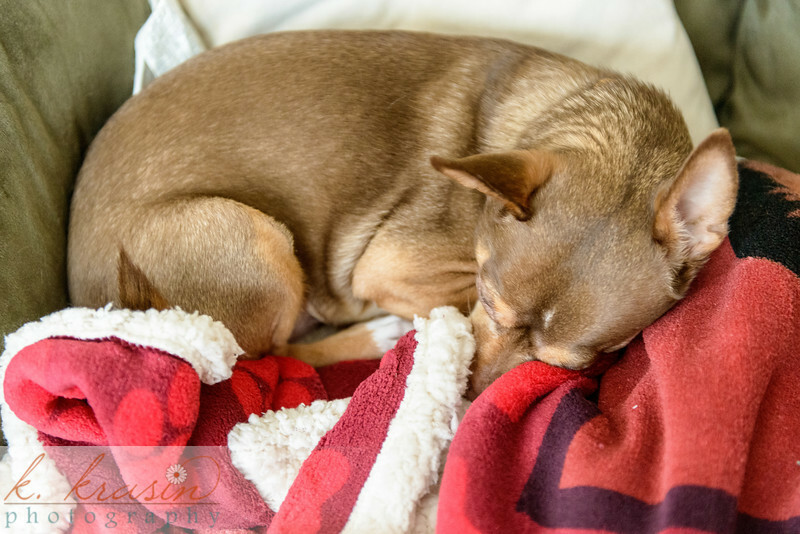 On the frigid days we had this week, he was sleeping comfortably. For week number 2 (1/5/2014-1/11/2014), I was wondering what I was going to shoot while driving to work when I saw this gorgeous sunrise. What a wonderful start to my day! 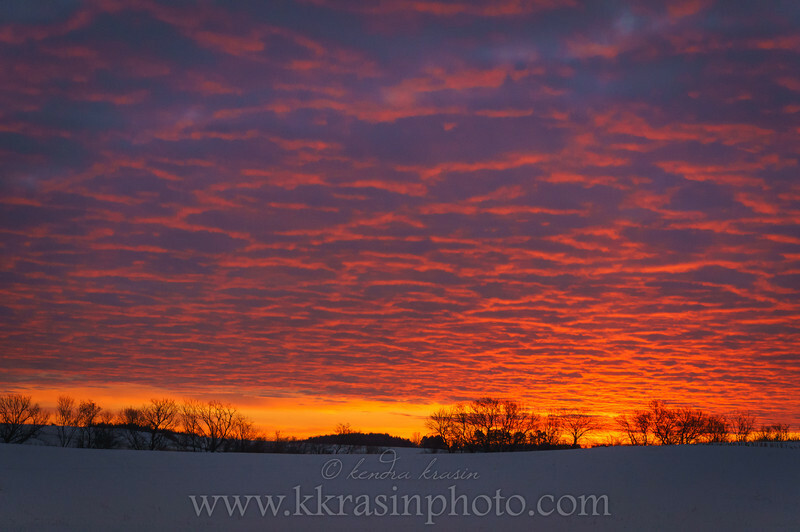 If you have a recent photo of your pet or of a magnificent sunrise, send it to me at kendra@kkrasinphoto.com with your name. Maybe it will be featured on my next Shoot 52! blog post!